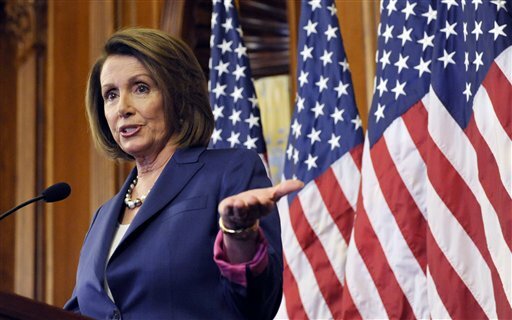 Nancy Pelosi says we should bailout GM and Chrystler. Coming on the heels of the financial bailout, this will rack up more trillions of Federal debt, and it will set a bad precedent, as I argued in an earlier post. But more to the point, as Paul Farrell has forcefully argued at Marketwatch.com today, it is an inexcusable extension of Reaganomics. [Naomi] Klein further exposed this insanity in a recent Rolling Stone article, “The New Trough: The Wall Street bailout looks a lot like Iraq, a ‘free-fraud zone’ where private contractors cash in on the mess they helped create.” Paulson’s privatization, outsourcing and management of the $700 billion bailout has the exact same Reaganomics ideological, strategic and deceptive footprints that President George W. Bush and former Defense Secretary Donald Rumsfeld used to privatize, outsource and mismanage the costly Iraq War blunder. Yes, Paulson is America’s new Rumsfeld! And they keep going at it! Where is Krugman’s vaunted conscience? This needs to be shouted from the rooftops until someone in government grows the testicular fortitude to do the right thing: Fiscal stimulus is an investment in public capital — not private capital. What do I mean? The highways are public capital. A truism of the last quarter century holds that Ike’s investment in this public capital produced broad economic growth. The government at the state and federal levels paid for it with our tax dollars, but then it paid us back by making it easier for us to make money. Ditto for the internet. Public capital investments must be direct investments in (at least) these three areas: alternative, non-carbon based energy, transportation, and health care. Three simple, direct investments the government can make that will free up our real capital — the potential of 300 million Americans — rather than protecting the private wealth of a few thousand individuals. Alternative energy will be the hottest growth industry of the 21st century. It has to be, or our great-grandkids will be wearing animal skins and sleeping underneath derelict overpasses. You think I’m being inflammatory? How many killowat hours per person does the world we live in need to sustain itself? And how many killowat hours of energy are still underneath the ground in the form of fossile fuels? One hundred years worth? One thousand? Don’t count on it. Hippies and teenage girls may be afraid of killing species and of seeing Manhattan underwater, but I’m worried that things like cell phones and computers won’t have any juice to run them at mid-century. The first people to solve this problem will be very rich, and as a true patriot, I think that people should be the American people. Our editor has ridden on the MagLev train that connects downtown Shanghai to the airport, and he bores me to death raving about it. It goes 300 miles an hour, and it only takes seven quiet minutes to get you twenty miles from the crowded urban core to the wide open spaces beyond. Some people might call this a communist conspiracy. But that is because they’re completely insane. (Just kidding! It’s because they’re minds have been twisted by years of hatred and fear. In an alternate universe they might have been decent people.) I’m not against everyone having cars — as long as they’re zero emissions. For everybody else, why not have a national high speed train system? It would be faster, cheaper, and much greener than our current system of automobile and air travel. Keeping the workforce healthy is a seriously no-brainer. Dems must use this historic opportunity to do away with the private insurance system that drives up prices by refusing to pay for needed proceedures. While they’re at it, I have no problem putting restrictions on trial lawyers too. In times of plenty people pursue their narrow self-interest, but in times of need we can all agree to level the playing field for the greater good. But this will not happen unless the electorate keeps pressure on lawmakers. Paul Farrell is convinced that the current bailout will lead to a worse disaster in 2011. If that’s true, you can bet this will come to pass. But do we need to be thoroughly spanked before we learn our lesson?